Trainers, you might remember a special event from November 2016. A hint? Lapras! Niantic had announced that they would host an event in support of the Iwate, Miyagi, and Fukushima Prefectures, regions which had been impacted by the 2011 tsunami. Niantic had greatly increased Lapras spawns (which was then very difficult to obtain). This incredible support from Niantic had helped raise $17 million in tourist revenues which had undoubtedly highly contributed to the local communities affected by the tsunami in these areas. Well, yesterday Niantic announced that they were once again supporting (although differently) a local community. 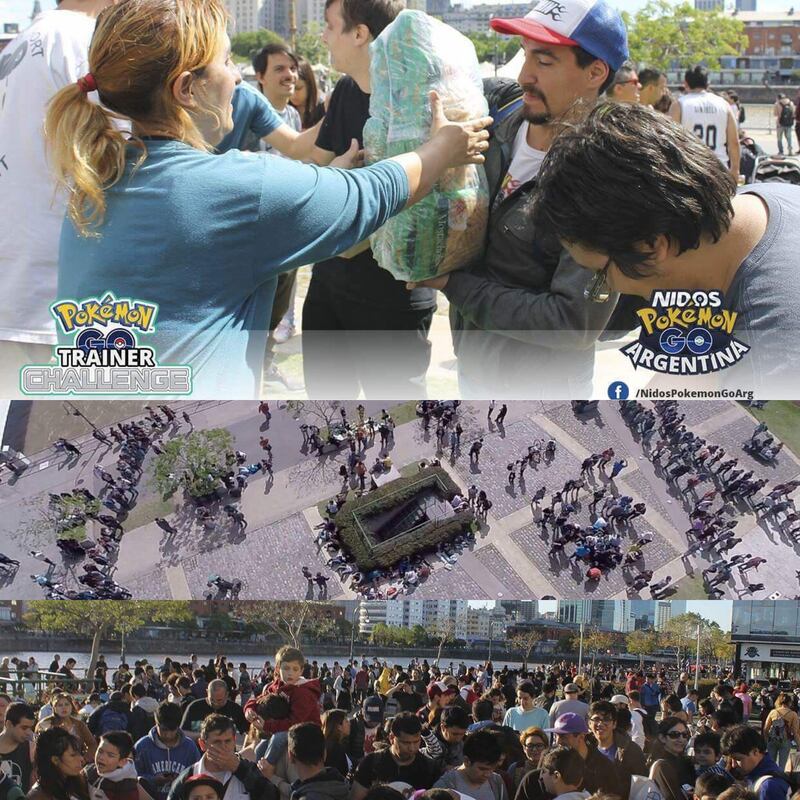 This time, Niantic’s support is aimed towards a local community from Argentina, which makes this is the first official event supported by Niantic in Latin America!. This event is organized by Nidos Pokémon Go Argentina, in partnership with Los Piletones – Fundación Margarita Barrientos, and takes place during the upcoming Community Day event on February 24, 2018. 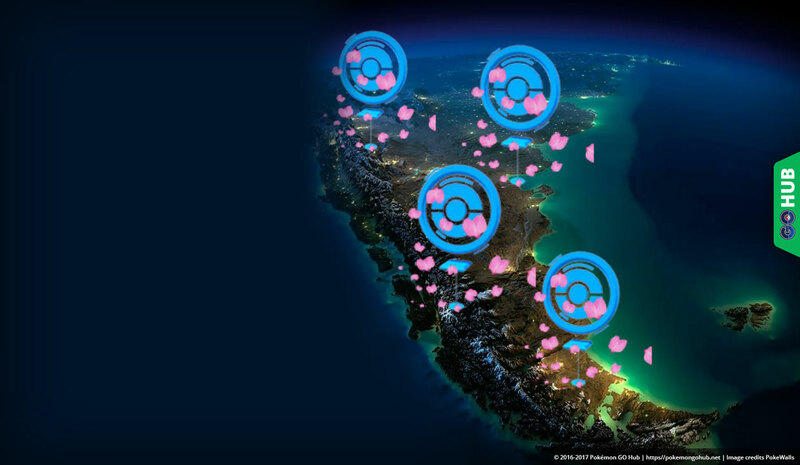 To provide you with the most accurate background as possible, we reached out to Diego, the Administrator of Nidos Pokémon Go Argentina, and he has nicely agreed to share some of the details with us. The group has always had one goal, which was to be the first group in Latin America to host an event officially supported by Niantic. In October of 2017, after relentlessly reaching reaching out to Niantic for months with no success, the group organized the Pokémon Go Trainer Challenge (an unofficial pilot event) in partnership with Fundamind inviting participants to play Pokémon Go with other people from their community, but also inviting people to donate food to Fundamind in order to help children with HIV. The event was a complete success. Diego confirmed to us that they gathered over 2,000 people, which was beyond their expectations, and that they received a lot of food donations for children. Since then, Diego and his group maintained contact with Niantic; and their efforts were not in vain. As a result, Niantic has officially agreed to support them by offering them visibility on Niantic’s website. It might not seem like a lot, but endorsing a local event for a company like Niantic is tremendous! 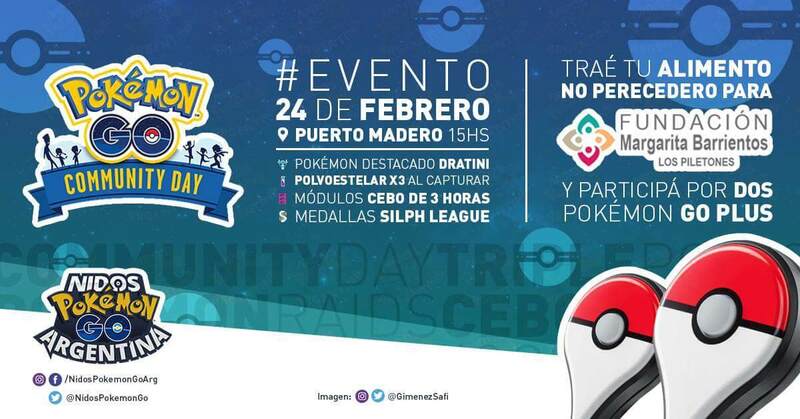 Diego’s group has decided to hold the second edition of this event on the upcoming Community Day, February 24th, in order to gather as many people as possible. As mentioned above, this time, they have partnered with a different organization, Los Piletones – Fundación Margarita Barrientos, which collects food for children’s community kitchens. Unlike the Lapras event in Japan from November 2016, nothing has been announced by Niantic regarding potential additional bonus, except from those already available worldwide during the upcoming Community Day. However, the fact remains that Diego and his group should be an inspiration to us all. They have not given up on their goal and have managed to become the first group in Latin America to host an event supported by Niantic and they have also managed to contribute to their local community through Pokémon Go, which is (I apologize for being repetitive) truly inspirational. Nidos Pokémon Go Argentina has even decided to raffle 2 Pokémon Go Plus, along with other prizes! Niantic’s involvement in local communities’ events is nothing new, but it is always amazing to see that they agree to support incredible initiatives such as Nidos’s. We are truly impressed by their (Nidos Pokémon Go Argentina) initiative and hard-work to provide for their local community; and we certainly hope that this will inspire many more Pokémon Go communities to combine charity and Pokémon Go in order to contribute, in their turn, to their own local communities. A huge thank you to Diego (and his team) for his prompt replies and incredible thoughtfulness!